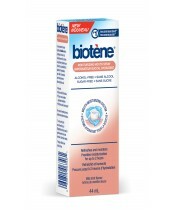 The Biotène product range includes toothpaste, mouthwash, oral balance liquid and gel. All our products benefit from biotin's unique LP3 - lysozyme, lactoferrin, lactoperoxidase, salivary, enzyme-protein system. This, plus biotin's moisturising polymers, offer comfort and help strengthen saliva's natural defences. 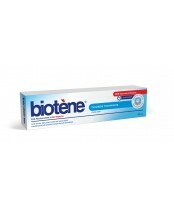 With Biotène dry mouth products, you'll have the confidence to enjoy life, to talk and eat with ease throughout the day.